The package says, “with just a hint of anise”, but for me that was the whole story. This is more like anise toast than almond biscotti. For anise toast, it was fairly good. There was a nice and proportionally strong anise flavor to the biscotti. The biscotti were firm, but still a little soft and not very crumbly. 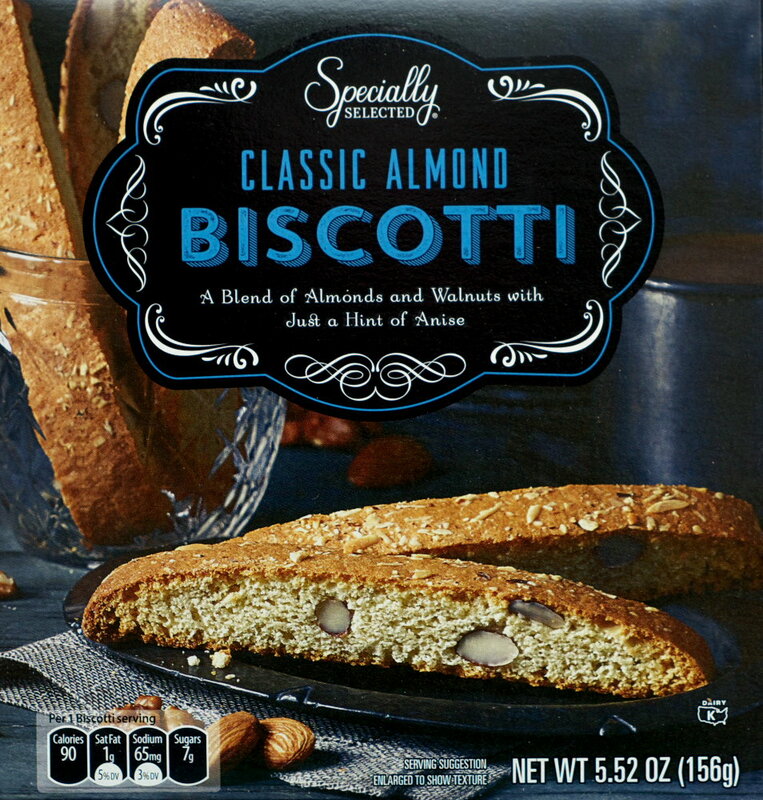 There were small pieces of nuts occasionally sprinkled throughout the biscotti. The package says almond and walnuts. But there was very little almond flavor to match the package label. So maybe the wrong biscotti got in the wrong box, or something like that? This entry was posted on 08/28/2017 at 11:35 and is filed under ALDI, food, Recipes, food, cooking and related items. You can follow any responses to this entry through the RSS 2.0 feed. You can leave a response, or trackback from your own site.